Yesterday, those of us in the “States,” celebrated July 4th our nation’s Independence Day. Hard to believe that summer is almost half over. Although with the crazy heat, I will be welcoming some fall temps. 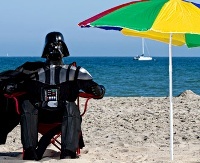 Right now, it is a great opportunity to enjoy the A/C and play some SWTOR. Sure you could go outside and enjoy the weather, and spend time with family and friends, but who wants that? I’m kidding.